Children in Igloolik, Nunavut, will get a welcome surprise this Christmas. The Igloolik Co-op ordered too many toys and management is donating them to the community. 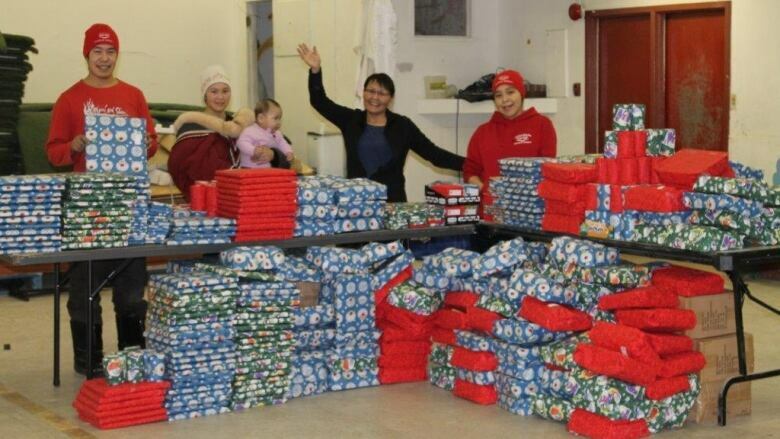 Children in Igloolik, Nunavut, will get a welcome surprise this Christmas. The Igloolik Co-op store ordered too many toys and management is donating them to the community. Duane Wilson, a vice president of Arctic Cooperatives Ltd., said a request for a quote on a shipment of toys was misunderstood as an order, and shipped to the remote Northern fly-in community of about 1,600 people. "They contacted the food bank and are working to together to get those pre-wrapped and pre-labeled toys into the hands of kids in their community," Wilson said. Wilson said he feels good about the "honest mistake." It's a case of "making lemonade out of lemons." The local food bank is distributing the gifts.